India has seen many dynasties rule over it and there are many forts and military structures left behind from these dynasties that are proof of their past splendour. Forts have always been a symbol of might. However, not all forts weave stories of heroism and stoicism. Many of these forts have a spooky past that tell gruesome or eerie tales. We’ve picks out the most haunted forts in India for those seeking out the supernatural. Bhangarh fort tops the charts in our list of the haunted forts in India. The fort was built for Princess Ratnavati of Alwar. Legend has it that a Tantrik worshipper by the name of Singhia fell madly in love with the princess and tried to use the dark arts to charm her. The princess, however, saw through this and ordered him dead. In his last breath, he cursed the princess and the entire court. The haunting of this fort is well known. The Archaeological Society of India has set up warnings that no one be permitted on the premises after sunset. 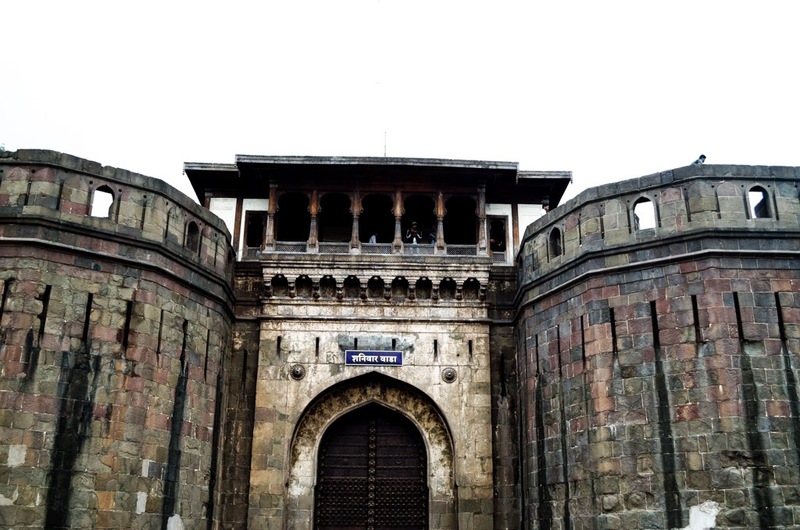 Shaniwarwada has always been home to the Maratha Peshwas and their followers. The fort was built in 1732 in honour of Peshwa Bajirao has come to represent a gruesome betrayal. Narayan Rao, who was 18 at the time, was the fifth ruling Peshwa in Pune. On the order of his uncle Raghunathrao and aunt Anandibai, Narayan Rao was mauled by his guards. It is said that till this day his screams for help can be heard in the fort. In the early 1800s, the fort caught on fire and burned for a week. The spirits those people who died in this fire are also said to haunt the fort. Right beside the Jami Masjid lies the ruins of Feroz Shah Kotla. The place is well known among the locals as being the resting grounds of Jinns. Jinns are said to be malevolent spirits, cast out of heaven and cursed to eternally roam the earth. Jinns are said to prey on unguarded young women and children at night. These spirits are said to have no shape and are invisible to the naked eye. To appease them, the grounds are left with offerings such as milk, grains and fruits. Nahargarh Fort stands at the foothills of the Aravali Mountain Range that overlooks the city of Jaipur. The Maharaja Sawai Raja Man Singh wanted no one to lay eyes on his queens and hence ordered the walls of the fort to be built extremely high. Even the grandeur of the palace cannot keep out the eerie atmosphere that the fort casts. It is said that even after his death, the king would come back to the fort and it is his spirit that haunts its corridors. At a time when the fort was undergoing a renovation, a person was found dead inside under mysterious circumstances. Golconda Fort was ruled over for the longest time by the Kakatiyas Dynasty. The fort was constructed in the 13th century but has seen various renovations under the whims and fancies of its many rulers. It is said that the King’s paramour haunts the fort. Her spirit has been seen dancing on what once used to be her stage. There are also reports of other paranormal activities – shooting crews have heard strange voices and lighting going haywire while at this fort. This beautiful fort is located on a plateau right in the middle of Junagadh City and sees a massive number of tourists every year. The fort is known for its various attractions such as the Hanuman Temple, Buddhist Caves, and Baba Pyara Caves. The fort houses the Jama Masjid which is said to be built over an ancient Hindu temple. The area that surrounds the masjid is said to be haunted. In fact, the locals are so scared that they don’t dare to visit this area after the sun sets. Mehrangarh Fort is as intriguing as it is beautiful. The foundation of the fort was laid by Rao Jodha in 1459. In the process of it being built, a hermit who resided on the hilltop was displaced. To please the hermit, Rao Jodha had a young man by the name of Rajiya Bambi set ablaze – his soul was sacrificed. After this, a series of misfortunes followed Rao and his family and the fort is haunted with these ill feelings. Beware, these are some of the scariest places in India. If you have an interest in paranormal activities and the stomach for it, these places can thrill and excite with their eerie auras. Have you ever had an otherworldly experience in an old fort in India? Let us know in the comments section.